Not fun. Being like everyone else and disregard the beauty of who you are, the essence of yourself, is to deprive the world of incredible things. Let you amazing self shine. 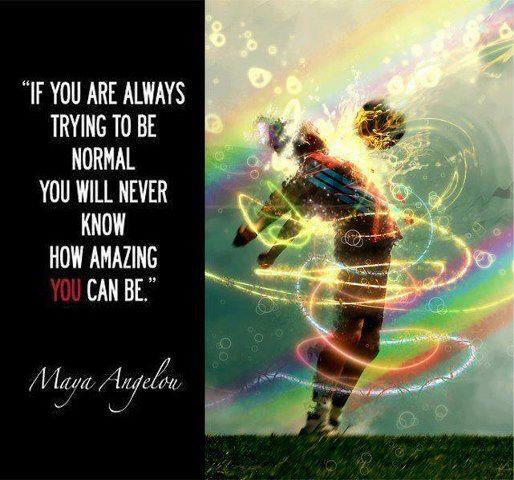 Be unique! Is there such a difference? There is indeed. A good player is always content with good results. An elite player is only satisfied when he or she overcomes own obstacles and become better today than it was yesterday. Results will always become easier to achieve and they are more meaningful. What about some motivation to wake up your willpower? Why? Willpower will take there, wher you will reach your goals. Motivation is important but it might be a great start while willpower will take you there. Strength your willpower by honoring your word, plan your training and execute, don’t settled for good enough. Always ask, can I do better, go further, perform better? Then, find ways to get there. It is in you. Go get it!